9805 may require swivel bar kit. 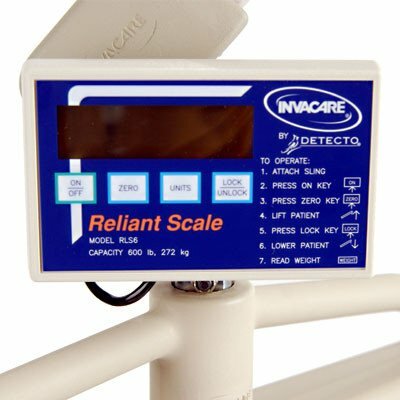 Use this scale with digital display to accurately and easily weigh patients during daily transfers. The RLS6 sacale features an easy to operate, 4-button display and automatic shut-off that prolongs the life of the battery.